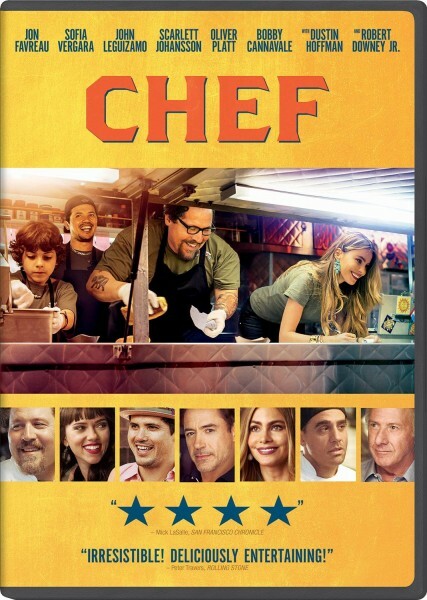 While there are some great re-releases and Criterion editions this week, we have decided to go with Jon Favreau's hit, Chef as our Recommendation of the Week. New Release: Chef – (Blu-ray, DVD and Instant) *Recommendation of the Week* Cold in July – (Blu-ray, DVD and Instant) Transformers: Age of Extinction – (Blu-ray, DVD and Instant) Are You Here – (Blu-ray, DVD and Instant) Third Person – (Blu-ray, DVD and Instant) Hellion – (DVD and Instant) Space Station 76 – (DVD and Instant) Re-Release: Once Upon a Time in America (1984) – (Extended Director's Cut Blu-ray) Sundays and Cybele (1962) – (Criterion Blu-ray) Ali: Fear Eats the Soul (1974) – (Criterion Blu-ray) Chef – (Blu-ray, DVD and Instant) *Recommendation of the Week* Directed and Written by Jon Favreau Starring: Jon Favreau, Sofia Vergara, John Leguizamo Chef Carl Casper (Favreau) finds himself without a job after he mistakenly insults a food critic via Twitter. Turing to the burgeoning world of the food truck, Casper enlists the help of his ex-wife (Vergara), friend (Leguizamo) and his son to start a truck of his own. Chef is the story of a man forced to rediscover his passion for the trade, and his passion for life. 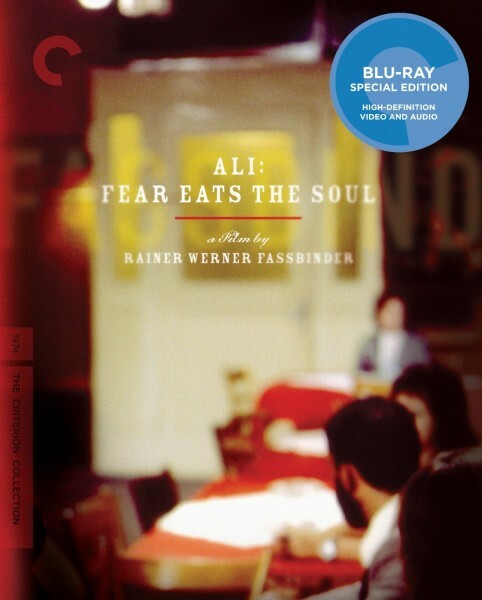 Critics Rating (Rotten Tomatoes): 88% (Very Good) Metacritic: 68 (Good) IMDB: 7.3 (Very Good) Entertainment Fuse: 8/10 DISC DETAILS Special Features: Commentary with Favreau and professional chef Roy Choi; Deleted scenes Amazon: $19.99 (Blu-ray); $14.99 (DVD); $4.99/$14.99 (Instant Rent/ Buy) Score (DVDTalk.com): Content: 4 stars(out of 5); Video: 4.5 stars; Audio: 4 stars; Extras: 3 stars; Replay: 3.5 stars. Highly Recommended. Cold in July – (Blu-ray, DVD and Instant) Directed by Jim Mickle Written by Nick Damici (screenplay), Jim Mickle (screenplay) and Joe R. Lansdale (novel) Starring: Michael C. Hall, Sam Shepard, Don Johnson When Richard Dane (Hall) kills a small-time burglar who breaks into his home, his life descends into chaos when the thief's brother comes to town looking for revenge. Twisting and turning like 50's noir, Cold in July sizzles as Dane struggles to keep up with his continually changing environment. 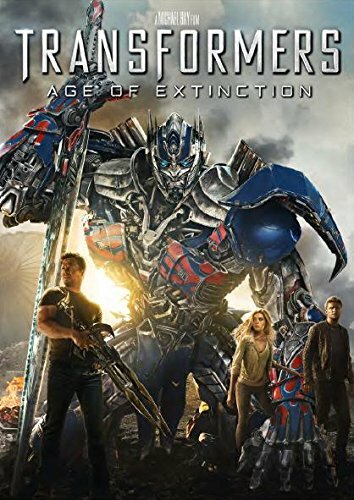 Critics Rating (Rotten Tomatoes): 86% (Very Good) Metacritic: 73 (Very Good) IMDB: 7.0 (Very Good) DISC DETAILS Amazon: $14.99 (Blu-ray); $12.99 (DVD); $3.99/$14.99 (Instant Rent/ Buy) Transformers - Age of Extinction – (Blu-ray, DVD and Instant) Directed by Michael Bay Written by Ehren Kruger Starring: Mark Wahlberg, Nicola Peltz, Jack Reynor Michael Bay reboots his own franchise with a whole new cast, and robot dinosaurs. Critics Rating (Rotten Tomatoes): 18% (The lowest yet!) Metacritic: 32 (Really Bad) IMDB: 6.0 (Barely Okay) Entertainment Fuse: 4.5/10 (Read our Review) DISC DETAILS Special Features: “Bay on Action” - interview with Michael Bay regarding his directing technique; “Evolution Within Extinction” massive 8-part documentary involving all the aspects of making the film; “Just Another Giant Effin' Movie” behind-the-scenes fun; “A Spark of Design” a look at Hasbro's development of Transformers toys and merchandise; “T.J. Miller: Farm Hippie” Miller's own behind-the-scenes reel; trailers Amazon: $17.99 (Blu-ray); $14.99 (DVD); $3.99/$14.99 (Instant Rent/ Buy) Score (DVDTalk.com): Content: 3 stars(out of 5); Video: 5 stars; Audio: 5 stars; Extras: 4.5 stars; Replay: 3.5 stars (Apparently better after a second viewing). Recommended. Are You Here – (Blu-ray, DVD and Instant) Directed and Written by Matthew Weiner Starring: Zach Galifianakis, Owen Wilson, Amy Poehler Ben (Galifianakis) and Steve (Wilson) are childhood best friends who team up once-again when Ben's estranged father dies; leaving him a considerable fortune. The two men must travel back to their home town where they match wits with Ben's formidable sister (Poehler) Critics Rating (Rotten Tomatoes): 7% (This might be the lowest score on DISCussion) Metacritic: 37 (Very Bad) IMDB: 5.3 (Bad) DISC DETAILS Special Features: Director Commentary Amazon: $14.96 (Blu-ray); $12.96 (DVD); $3.99/$12.99 (Instant Rent/ Buy) Score (DVDTalk.com): Content: 1.5 stars(out of 5); Video: 4 stars; Audio: 4 stars; Extras: 2 stars; Replay: 0 stars. Skip It. Third Person – (Blu-ray, DVD and Instant) Directed and Written by Paul Haggis Starring: Liam Neeson, Mila Kunis, Adrien Brody Director Paul Haggis uses his signature technique from Crash in this interwoven story of love. Three couples from around the globe share nothing in common, yet the relationships they form have very similar elements. Critics Rating (Rotten Tomatoes): 24% (Very Bad) Metacritic: 37 (Really Bad) IMDB: 6.5 (Good) DISC DETAILS Special Features: Audio Commentary with Paul Haggis, Production Designer Laurence Bennett, Editor Jo Francis, Producer Michael Nozik, and actor Moran Atias; Q&A with Director Paul Haggis; “Making of Third Person”; Trailer Amazon: $24.99 (Blu-ray); $19.99 (DVD); $4.99/$12.99 (Instant Rent/ Buy) Score (DVDTalk.com): Content: 3 stars(out of 5); Video: 4.5 stars; Audio: 4.5 stars; Extras: 2.5 stars; Replay: 2.5 stars. Rent It. 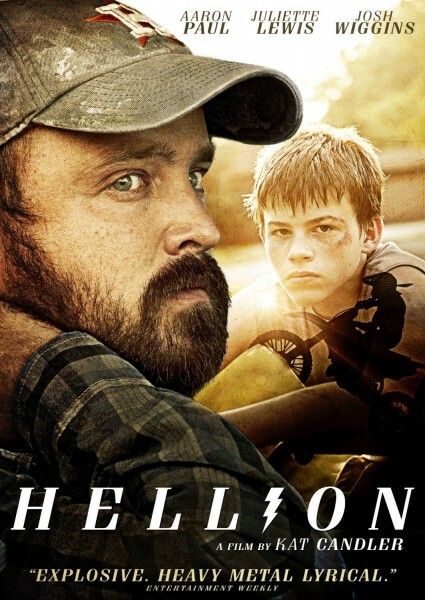 Hellion – (DVD and Instant) Directed and Written by Kat Candler Starring: Aaron Paul, Juliette Lewis, Josh Wiggins When the continued delinquency of 13-year-old Jacob (Wiggins) places himself and his little brother in the hands of Child Protective Services, their absent father Hollis (Paul) must figure out a way to put his past behind him, and care for his boys. 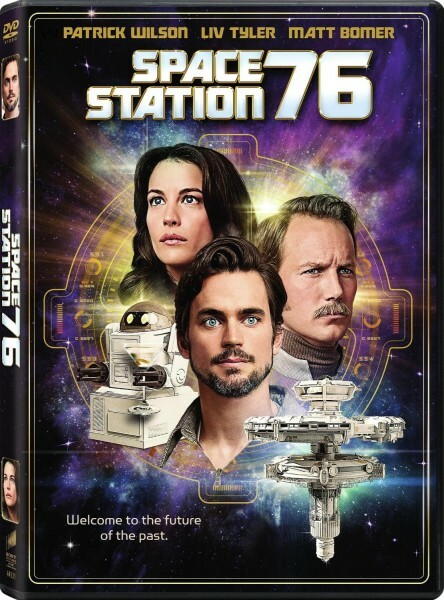 Critics Rating (Rotten Tomatoes): 59% (Just Barely Rotten) Metacritic: 55 (Okay) IMDB: 6.5 (Good) DISC DETAILS Amazon: $22.98 (DVD); $3.99/$12.99 (Instant Rent/ Buy) Space Station 76 – (DVD and Instant) Directed by Jack Plotnick Written by Jennifer Elise Cox, Sam Pancake, Jack Plotnick, Kali Rocha and Michael Stoyanov Starring: Liv Tyler, Patrick Wilson, Marisa Coughlan A 1970's version of the future where personalities and asteroids collide. (c) Official Facebook Critics Rating (Rotten Tomatoes): 61% (Fresh @ 18 Reviews) Metacritic: 49 (Bad) IMDB: 5.0 (Barely Okay) DISC DETAILS Amazon: $14.99 (DVD); $4.99/$14.99 (Instant Rent/ Buy) Re-Release: Once Upon a Time in America (1984) – (Extended-Director's Cut Blu-ray) Directed by Sergio Leone Written by Harry Grey (Novel, “The Hoods”), Leonardo Benvenuti, Piero De Bernardi, Enrico Medioli, Franco Arcalli, Franco Ferrini, Sergio Leone, Stuart Kaminsky (additional dialogue) and Ernesto Gastaldi (uncredited) Starring: Robert De Niro, James Woods, Elizabeth McGovern Sergio Leone's urban epic that follows a group of Jewish gangsters as they rise to prominence during prohibition in New York City, and their return to the Lower-East-Side 35 years later. 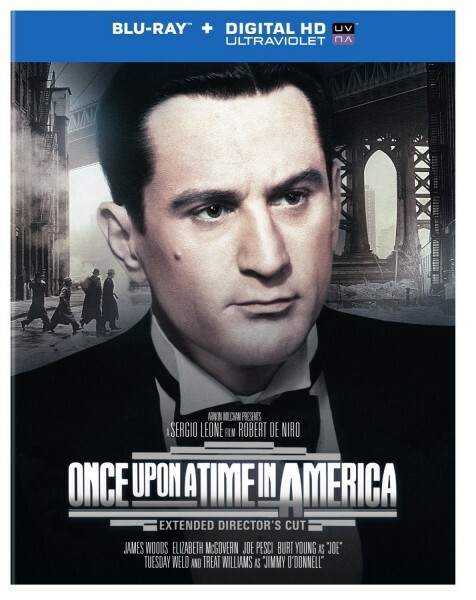 Critics Rating (Rotten Tomatoes): 89% (Very Good) IMDB: 8.4 (Excellent) Entertainment Fuse: 8/10 DISC DETAILS Special Features: Excerpt from “Once Upon a Time: Sergio Leone”; Trailer Amazon: $26.49 (Blu-ray) Score (DVDTalk.com): Content: 5 stars(out of 5); Video: 4 stars; Audio: 5 stars; Extras: 2 stars; Replay: 5 stars. DVD Talk Collector Series. 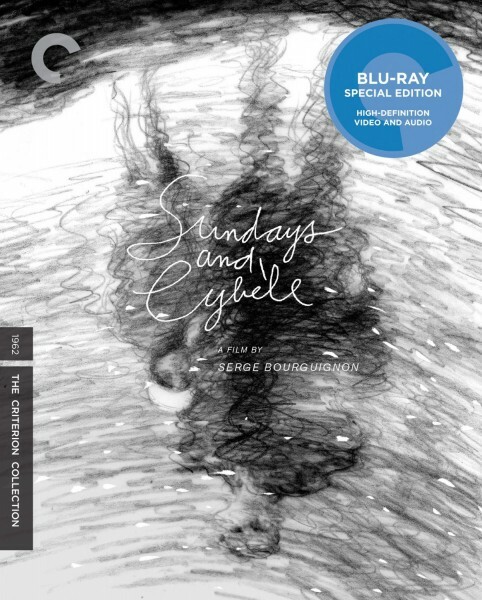 Sundays and Cybele (1962) – (Criterion Blu-ray) Directed by Serge Bourguignon Written by Serge Bourguignon (scenario and dialogue), Antoine Tudal (scenario), Bernard Eschassèriaux (novel and dialogue) Starring: Hardy Krüger, Nicole Courcel, Patricia Gozzi An emotionally damaged War veteran from The First Indochina War, Pierre (Krüger), returns to France where he lives in solitude. After striking up a bizarre friendship with a young girl who was ditched by her father, he begins to rediscover parts of his life that he thought were lost forever. Although the friendship is harmless, it raises some obvious concerns, and the relationship is misconstrued by even those closest to Pierre. IMDB: 8.0 (Excellent) DISC DETAILS Special Features: 2K digital restoration, with uncompressed monaural soundtrack on the Blu-ray; New interviews with director Serge Bourguignon and actors Hardy Krüger and Patricia Gozzi; “Le sourire” Bourguignon’s Palme d’Or–winning short documentary; Trailer; PLUS: An essay by critic Ginette Vincendeau Amazon: $26.49 (Criterion Blu-ray) Ali: Fear Eats the Soul (1974) – (Criterion Blu-ray) Directed by and Written by Rainer Werner Fassbinder Starring: Brigitte Mira, El Hedi ben Salem, Barbara Valentin An elderly German woman, Emmi (Mira), and a young Moroccan immigrant, Ali, (ben Salem), form an accidental romantic bond. When the odd couple fall in love and plan a marriage, their family and friends are appalled. However, the more their friends begin to accept the romance, the more rocky it becomes. Critics Rating (Rotten Tomatoes): 100% (Superb at 23 reviews) IMDB: 8.1 (Excellent) DISC DETAILS Special Features: New 4K digital restoration, supervised by director of photography Jürgen Jürges, with uncompressed monaural soundtrack on the Blu-ray; Introduction from 2003 by filmmaker Todd Haynes; Interviews from 2003 with actor Brigitte Mira and editor Thea Eymèsz; Shahbaz Noshir’s 2002 short Angst isst Seele auf, which reunites Mira, Eymèsz, and Jürges to tell the story, based on real events, of an attack by neo-Nazis on a foreign actor while on his way to a stage performance of Rainer Werner Fassbinder’s screenplay; Signs of Vigorous Life: New German Cinema, a 1976 BBC program about the film movement of which Fassbinder was a part; Scene from Fassbinder’s 1970 film The American Soldier that inspired Ali: Fear Eats the Soul; Trailer; PLUS: An essay by critic Chris Fujiwara Amazon: $33.96 (Criterion Blu-ray) Score (DVDTalk.com): Content: 4.5 stars(out of 5); Video: 4 stars; Audio: 4 stars; Extras: 4 stars; Replay: 5 stars. Highly Recommended.